DBT Depression and Anxiety Group Therapy – Ken Smith MS, MA, LPCC. Providing mental health counseling in Central Ohio. This group is designed to help men and woman manage feelings of depression and anxiety using Dialectical Behavioral Therapy (DBT) The team is focused on psycho-education, coping skill development and problem improvement. We will train using concepts like radical acceptance, emotional regulation, and mindfulness to help you put depression and anxiety in its place. This is training so you can be there for your family, friends, career, and you. Different techniques will be used to help develop these skills. Concepts from the book Depressed and Anxious: The DBT Workbook for Overcoming Depression & Anxiety (Thomas Marra, 2004) will form the bases of the team approach. You will get your own shiny book at the first meeting. Don’t worry, this is not school and the team leader does not expect you to read the book, but likes you to have it case you choose to read it (reading it would help). DBT is evidence based approach to treating a number of emotional and mental health issues. It has been found to be very effective on treating depression and anxiety. DBT is focused on developing specific tools and skills to deal with emotional and mental disorders. This approach is primarily psycho-educational. Many who have been in therapy before find that DBT is much different then other approach they have been in before. So even if you have been in therapy before, DBT may have something to offer you! Emotions are not good or bad, they simply are. Emotions are the main drivers in most psychopathology, primarily anxiety. 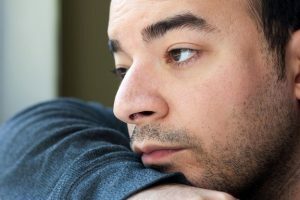 The emotions are trying to protect a person, but sometimes they have a paradox impact of making emotional distress worse. Invalidation of the emotions (e.g. you should not have some emotions) lead to a mistrust of the emotions and self. Invalidation (and other emotional and biological factors) leads to emotional sensitivity. This emotional sensitivity can be displayed both by high emotionality or a feeling of low emotionality, depending on the individual. In those with acute mental problems (e.g. major anxiety/depression), emotional regulation is replaced with emotional avoidance/escape. Automatic emotional responses form the basis of emotional distress/avoidance. You are what you do, not what you feel. Session 1- What is DBT? Understand the theory of DBT and how it deals with emotional and mental issues. Session 2- What is your supreme concern? Motivation, meaning making, and purpose. The group will be a closed group with between 4-10 members . Screened members will join the group on in order when they get all the paper work for the group done and commits to conditions of being in the group. If fewer than 4 people agree to join the group, the group will not take place. If you join this group it is very important that you can commit to being able to attend all 10 practices. This is a skill development and psycho-education group so the skills build on each other. Additionally, it is important that the group remains stable to give peer support and feedback to help develop the skills discussed and developed. DBT depends on development of all the skills practiced. This is a closed group: new group members are not added after the 1st meeting and those who come to the 1st meeting are expected to come to all of them. All proposed group members will have to have a free screening and orientation in person/phone meeting with a group leader before joining the group. This is to ensure that a person is a good fit for the group and not to waste the time of person It is also the duty of the group coach to ensure a good group. A diagnosis of anxiety or depression is not required to become a group member (unless you use insurance, then you will probably have to be diagnosed to get your benefits, but that can be discussed at the screening). Click here for the screening form. Conveniently located next to the Park of Roses with great parking. On the COTA #2 Bus Line with building very near the N. High and Glenmont bus stop. Ken has had experience using DBT in both individual therapy and groups. He brings many perspectives and fun to group therapy. Additionally, Ken has run pigs though mazes, took classes in dairy tasting, and has been a consultant in over 300 businesses. Ken also holds degrees in Animal Science, History, and Animal Welfare/Behavioral Psychology. You are expected to get the book we are using on your own and at your own expense. You will be asked to commit to coming to 5 bi weekly 75 minute group meetings. Since Ken (the group leader) also sees this group as a public service, you will be asked to contribute to the group whatever you earn in an hour per session or whatever you can contribute (which ever is larger). So if you make $10 an hour, you will be asked to pay $10 per session, if you make $300 an hour on average, you will be asked to pay that. We will work on the honor system for setting up payments, so please be honest. If you commit to the group and do not come, you will be charged the group fee agreed on. For those who put a credit card on file you will be charge on the date of each meeting. If paying by cash and check, you are asked to pay the full fee upfront (if you cannot, please talk to the group leader at screening). Since there is an expectation that the members of the group are committing to come to all the meetings, you will be charged the full amount whether or not you attend the meetings. If you commit to the group and do not come, you will be charged the group fee agreed on. You may be able to use your HSA or FSA to pay for group therapy. If you have Aetna, United Healthcare/Optum, Medical Mutual, Multiplan, or Out-of-network insurance benefits, you may be able to use it to pay for the group sessions at the negotiated rate. Your copay may be higher than your benefit/out-of-pocket fee, so make sure to find out what your benefits are. You must have a diagnosis to attend group therapy. Insurance benefits can be very different from policy to policy, even if policies are provided by the same company. It is the responsibility of the group member to confirm with their insurance company that they have group therapy benefits, what the out of pocket cost per session would be to the member, and if you need per-authorization to use your insurance to join the group. Again, be aware that if you use your insurance, you are responsible to pay the insurance fees, even if it is more than the self-paying fees. See the questions to ask your insurance form to assist you when call your insurance company (CPT 90853 is the code if asked). If you miss a meeting or stop coming to the group, your insurance cannot be billed. You will be charged $30 for every meeting that you miss/cannot be billed to your insurance. Those members using insurance to pay for group meetings must have a credit card on file. The following forms must be filled out given to the group leader before the first meeting. At the 1st group meeting, the Group Rules and Leader Disclosure will be gone over. Please make sure to review all the following documentation about your rights and SOPCC policies (you don’t have to print or bring them). Please contact Ken via home page contact form or phone to reserve a spot in the DBT group!